Looking for a drink and a bite to eat? BJ’s Restaurants could have the answer. This restaurant and brewery sells an assortment of American dishes and also brews its own beer.These award winning brews are what draw many customers to the BJ’s chain every day, but while they go for the beer, they stay for the food and the service. BJ’s is not be the biggest chain in the country. But it is still growing and it has received countless recognition for its food, its drink and its way of doing business. 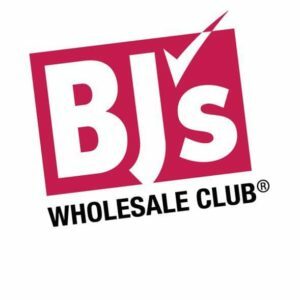 It seems that there is something about BJ’s that customers, critics and organizations just can’t get enough of. There is no one BJ’s chain. Technically, there are three of them going by the names “BJ’s Restaurant & Brewhouse”, “BJ’s Pizza & Grill” and “BJ’s Restaurant & Brewery”, all of which are casual dining restaurants that serve food and alcohol. There are slight menu variations on all of them, but the logo, the aesthetic and everything else that this brand stands for, is the same. The first BJ’s Restaurants location was opened in 1978 in Orange County, California. It grew steadily from there and had expanded to half a dozen locations by 1996. That was the year that the brand went public, and it was also the year they acquired a small pizza chain, adding 26 locations to their brand and giving it a sizeable boost. They would go on to sell several of these restaurants, keeping the rest and putting them under the BJ’s banner. Moving into the 2000s, BJ’s put the wheels in motion for a major expansion, and by 2016 they had close to 200 locations across the United States. The BJ’s menu includes an assortment of appetizers and entrees, as well as a huge selection of drinks. The BJ’s menu includes a selection of popular American dishes and fusion dishes. One of their most popular menus is the pizza menu. This America-Italian favorite can be ordered with any number of toppings, from chicken and bacon, to vegetables, chili peppers and more. There are also handcrafted burgers, big and beefy enough to rival the burgers found on the Five Guys menu and the Hardee’s menu, and there are also some seafood dishes, cajun-inspired dishes and Mexican-inspired dishes. It’s a selection of everything that’s popular in this country, and it’s all served with something just as popular: beer. BJ’s brew their beer themselves and since 1978, when they brewed and sold their first batch, they have won over 150 awards for it. Their beers and lagers are all supplied by their company owned breweries. There are 6 of these spread across the country, and it’s their duty to make everything from their potent BJ’s PM Porter, to their refreshing LightSwitch Lager. If you find a drink that you like, you can order by the bottle or the can and take it home with you. This is not true of all locations, but it is true of most of them. Get something sweet to finish off your meal and enjoy with your beer. BJ’s isn’t very big, so the BJ’s secret menu isn’t very big either. Size isn’t always an indicator of a good secret menu, of course. The Nando’s secret menu is quite impressive, even though there are just a couple dozen locations in the United States (although there are many more elsewhere). And while there are over 13,500 Pizza Hut locations around the world, the Pizza Hut secret menu is far from the biggest. We have done our best to cobble together some menu hacks though. If you want to see these, just head on over to our BJ’s secret menu page. Like all pages on this site, it’s updated regularly. So, as soon as more items are added to the BJ’s secret menu, you will be able to find them on this page. If pizza isn’t your thing, there are healthier menu options available. BJ’s is a casual dining location, which means you pay a little more than you would at a fast food chain. The prices are still on the low side though, roughly on par with TGI Fridays menu prices and Outback Steakhouse menu prices. Most of their burgers, sandwiches and mini pizzas are available for around $10, while their pasta dishes are a little more expensive. Their steaks and ribs are some of the most expensive items on the menu, ranging from around $15 to $25. You will also pay this higher amount for their larger Deep Dish Pizzas and for their Hand-Tossed Pizzas. To see a full list of prices, just visit our BJ’s Menu Prices page. The drinks are what makes this menu and this brand. You probably knew that burgers and beer weren’t good for you. So, we’re not going to tell you otherwise, unfortunately. However, it’s not all bad and there are some healthier alternatives on the BJ’s menu. For the beers, it’s important to note that most of the calories are in the alcohol itself. A light beer is simply a beer with a reduced alcohol content. So, you don’t necessarily need to go in search of something that is labelled as “Lite”. You just need to look for something that has a lower alcohol content. Their burgers pack a lot of calories, fat and sodium into one small dish. Many of these contain between 1,200 and 1,600 calories, much of which comes from fat. And that’s before you even factor in the sides and the drink. As for the pizza, it’s not as bad as you might think. Their Mini Deep Dish pizzas are good for this, as they contain fewer than 200 calories on average. Of course, you’re only getting 4 small slices for that. But even if you opt for their Large Deep Dish, those 10 slices are still under 400 calories for the most part. There are gluten-free pizza crusts available on the BJ’s menu, and there are other special diets catered for as well. To read more about this and to see a full nutrition table, just read our BJ’s Nutrition Info page. BJ’s offer a wide selection of handcrafted burgers, made from the finest ingredients. BJ’s is open 7 days a week and remains open for much of the day. The doors first open at 11:00am, which means you can stop by for a light lunch and a small drink. And they remain open until Midnight on most days, ensuring you can drink the night away if you want to. Times may vary from location to location, so be sure to check-in with your local restaurant.